Cacapon Resort State Park is roughly 50 miles west of Harpers Ferry in Berkeley Springs. The park and two fishing areas are very accessible. Roughly 50 miles west of Harpers Ferry in Berkeley Springs, WV, is the massive Cacapon Resort State Park. Covering more than 6,000 acres, this park has more than 20 miles of hiking/running trails and equestrian trails, as well as an 18-hole golf course. For anglers, the park has 2 bodies of water that are prime for catching trout, bass, catfish, and bluegill. So if fishing is your passion, pack up your gear and head on over! While Cacapon Resort State Park can get busy in the summer, it’s a wonderful place for a family “daycation”or a mini-retreat. Besides fishing, you can swim in the lake and hike at one of the many trails around the park. Most of the crowds stay near the beach at the lake, so you can usually spot deer along the quiet trails. There are 2 bodies of water in the park for fishing—a lake close to the park entrance, and a reservoir just beyond the main cluster of cabins. The lake is stocked with trout in the spring, but you can reel in other fish, too, like bass, catfish, and bluegill. The reservoir is not stocked, but does have a good selection of freshwater fish that will put up a good fight. Kids 15 years and older need a West Virginia fishing license to fish in the park. Minors younger than 15 don't need a license, but they have to be accompanied by someone who does have a valid fishing license. The park lodge, which has rooms for rent, also sells short-term fishing licenses if you need to pick one up. Contact the park to reserve a cozy woodland cabin. Or, the lodge has a rustic design with modern amenities, like a flat-screen TV and air conditioning. You can connect to wi-fi throughout the common areas, and the lounge is stocked with board games. People from all fishing backgrounds will enjoy what Cacapon State Park has to offer, thanks to the wide of variety of fish. Young kids can cast a line while wading at the beach on the lake, and more serious anglers can launch their boat to try to land some bigger prizes. The calm lake and family-friendly atmosphere make this is a great place for children. 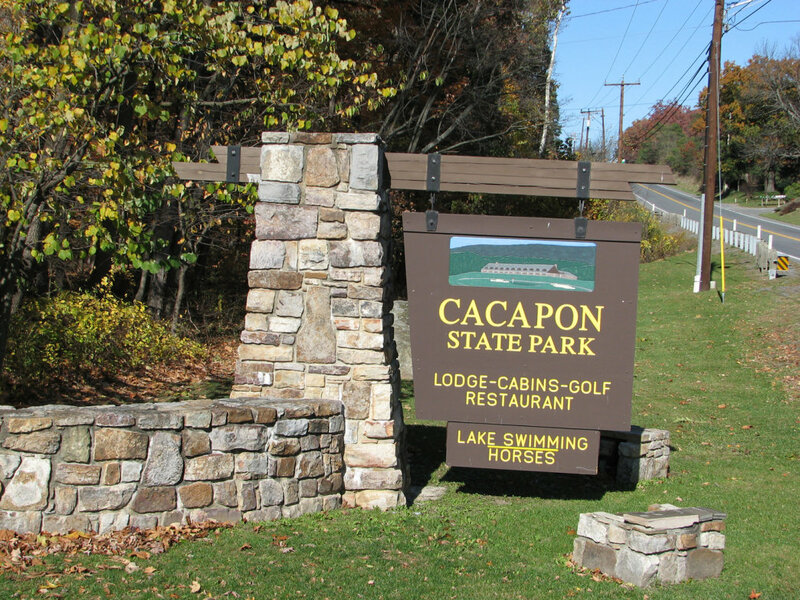 Cacapon State Park is in Berkeley Springs, WV. The easiest way to get there is through I-81 to Route 522. There is plenty of parking.